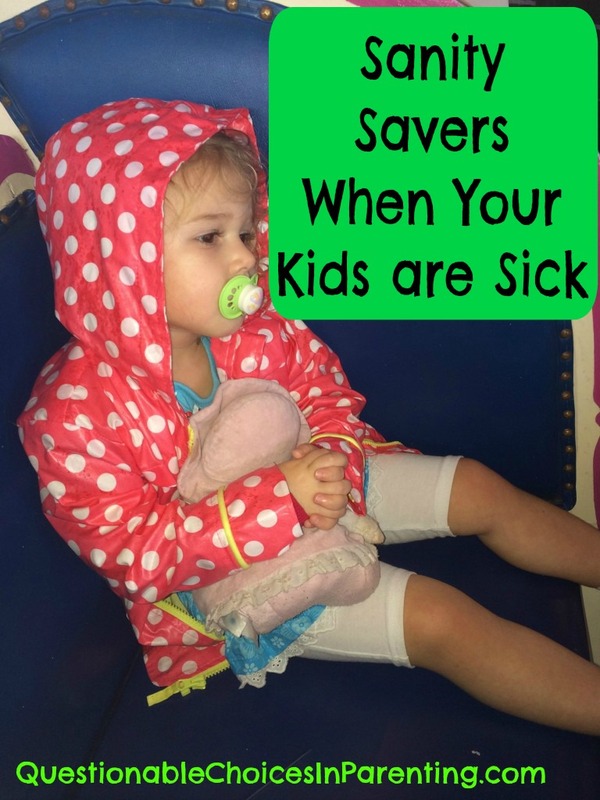 Sanity Savers For When Your Kids Are Sick! I’m so excited to announce my new series for the blog called Can You Hack Motherhood? Since my Sanity Savers For When Kids Are Sick was such a hit on the Today Show, I knew these great tips needed to be a shared as a weekly series! So here is the post that started it all and a clip of my Today Show appearance! Keep a lookout for a new set of life hacks and sanity savers every Thursday and if you have any great tips for hacking motherhood, send them to me! Put a few mini chocolate morsels on their tongue and when the chocolate melts, it coats their tongue so you can sneak the medicine in minus the bad taste. See chocolate really does fix everything! Itchy dry skin is no match for you! Put your little one in a lukewarm bath with a cup or two of white vinegar and skip the soap and shampoo. Cover their skin with Vaseline or coconut oil—yes coconut oil. They won’t be itchy and will smell like a yummy pina colda. Sunburns are so painful, but you can come to the rescue with a cool fix of freezing aloe vera in ice cube trays. My kids are anti-shoes in the summer which leads to a lot of splinters. So this Mamma mixes up a paste of baking soda and water to coat the splinter. Add a band-aid and let the paste sit for an hour. The splinter works itself out of the skin, you can easily pull it with tweezers, and your babe’s feet will stay pain free.Sanity Through ExhaustionYou’re probably a little rusty when it comes to all-nighters. So do a few things to keep sane when you only have one eye open at 3AM. You may already suffer from Mommy-Brain AND you’re exhausted, now you have to remember the last time your kids took their medicine—not happening. Grab a marker and create a small chart on the side of their medicine bottle for doses and the number of days they need to take medicine. Earaches are so painful and keep everyone awake, but if you take an all white sock, add coarse sea salt and a few drops of lavender, and warm it up in the microwave or a skillet, you have a soothing heating pad to place on a painful ear. Sweet dreams! Got a sore throat? Try a few mini marshmallows. Why does it work? I have no idea, but it does and it’s yummy. Popsicles make everyone feel better so add Jell-o to homemade popsicles-it won’t melt as fast—genius– and if you add some fruit, you get a something healthy into you’re a sick kiddo with zero appetite. These parenting life hacks can fix a lot and get your family back to normal…..
Or as normal as your family can be.